We supply fresh fruit from the most fertile tropical plantations, owning every stage of the production process between the plantation and your table. Joining our production knowledge with the logistical know-how we are able to deliver a consistent quality of premium fruit. We strive to deliver a personalized service to each of our clients, focusing on efficiency and speed. Our response time to clients request is second to none, which paves the road to highly successful partnerships. We pride ourselves on shortening the distance between production and our consumers though market knowledge and leveraging our relationships with world leading transport providers. 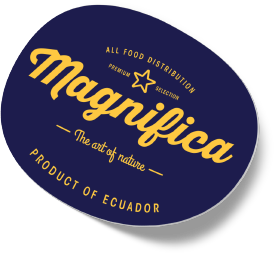 Our product is present in markets around the world and we are continually increasing availability of our fruit globally. We are able to scale our business to continue delivering the highest quality fresh fruit and spread the healthy habits of consuming our produce. Our mission is to bring the art of nature to our consumers table, delivering the best product our land can offer. We care for our environment as much as we do for our clients well being and our product. This steers us to increasingly focus on organic produce that is socially responsible. Behind our produce is a team of highly experienced and knowledgeable professionals that work with the most advanced technology to deliver a consistent produce. Each box of our product benefits from the highest reliability in terms of freshness, quality and consistency. We care for our employees and understand the importance of each team member involved in our business in order to deliver a premium produce. Our human value is what makes us a better company and contributes to the development of great responsible product. Our business is important to the local communities economy and we make sure we are able to nurture and develop it. Our product travels with the best from our land and our people. Our number of exports continue growing in parallel to our local communities generating results which benefit us all.